Nameless: [voiceover] I was orphaned at a young age and was never given a name. People simply called me Nameless. With no family name to live up to, I devoted myself to the sword. I spent ten years perfecting unique skills as a swordsman. 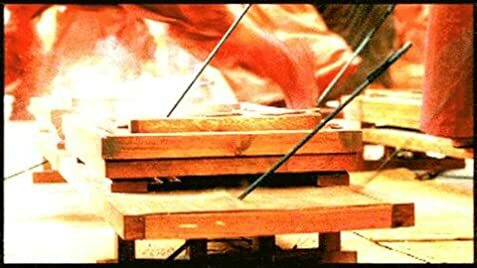 The King of Qin has summoned me to court, for what I have accomplished has astonished the kingdom. Q: Was the king a dictator? 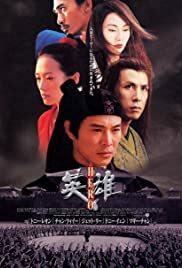 Q: What happened to Donnie Yen and Zhang Ziyi's character at the end? Some of the most astonishing cinematography I've ever seen. Some reviewers have suggested that the storyline of this movie is a bit plodding and portentous, and I'd be willing to allow that. But even if this film had absolutely no plot to speak of, I would have considered the money I plunked down yesterday to see "Hero" to be money well-spent, because I have been witness to some of the most achingly beautiful film-making I've ever seen. As in "Crouching Tiger, Hidden Dragon," the characters here fly through the air and dance across water, but "Crouching Tiger" surely could have benefited from the sublime camera eye of "Hero." One scene of swordplay in particular that takes place in a grove of trees amongst swirling yellow leaves almost stopped my heart in my chest: It was that gorgeous. And yes, there is a plot also, one that involves various assassins with names like Sky, and Broken Sword, and Flying Snow. I have to admit that the tales and counter-tales told were a bit confusing at first, but by the time the film is over, all the pieces have fallen into place, and this chapter of ancient Chinese history has assumed a truly mythical quality. At a time when movie theaters show a lot of utter dreck, we ought to be supporting movies like this. 314 of 355 people found this review helpful. Was this review helpful to you?